Make life easier by reducing the need to flip between apps. 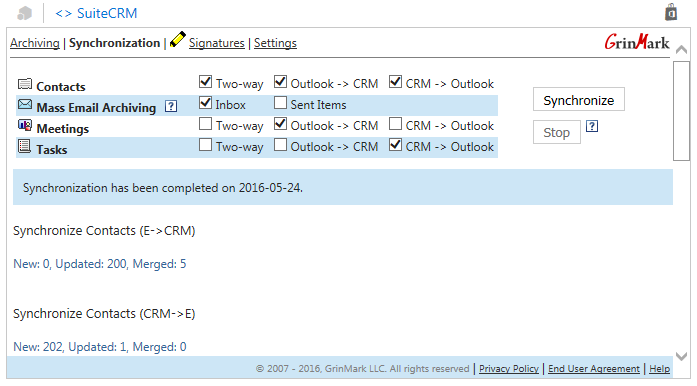 If you are using Outlook Web App, Outlook 2013, or Outlook 2016 connected to Office365 or Exchange Server 2013 then be sure to take advantage of this email and contact synchronization add-on. 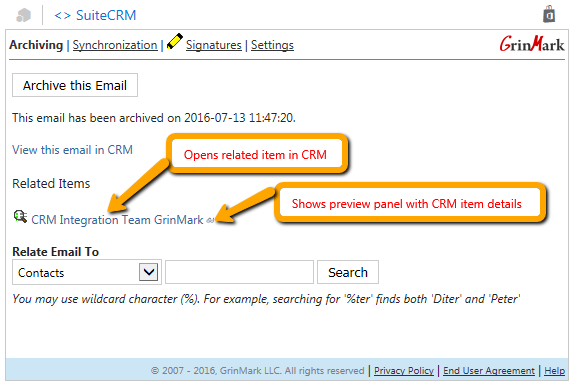 Smartly links emails to your SuiteCRM records and keeps your contacts in sync. 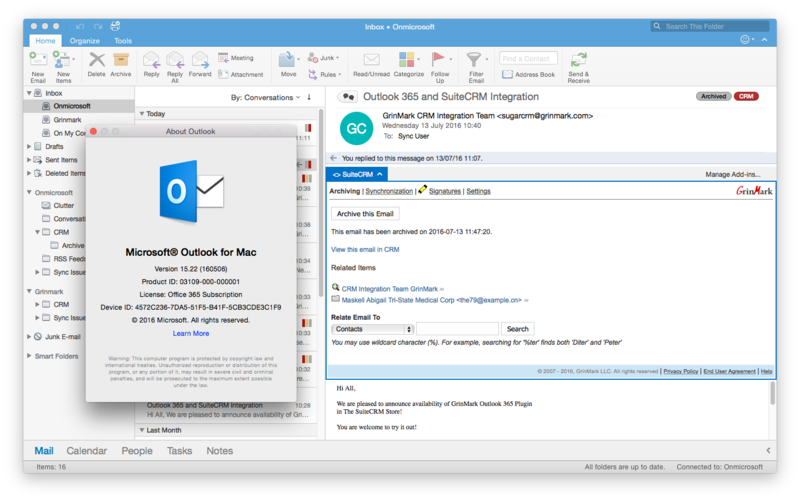 Email archiving, synchronization of contacts, meetings and tasks, email signature extraction for Microsoft Outlook be it Outlook Web App, Outlook 2013+ on PC or Outlook 2016 on MAC. 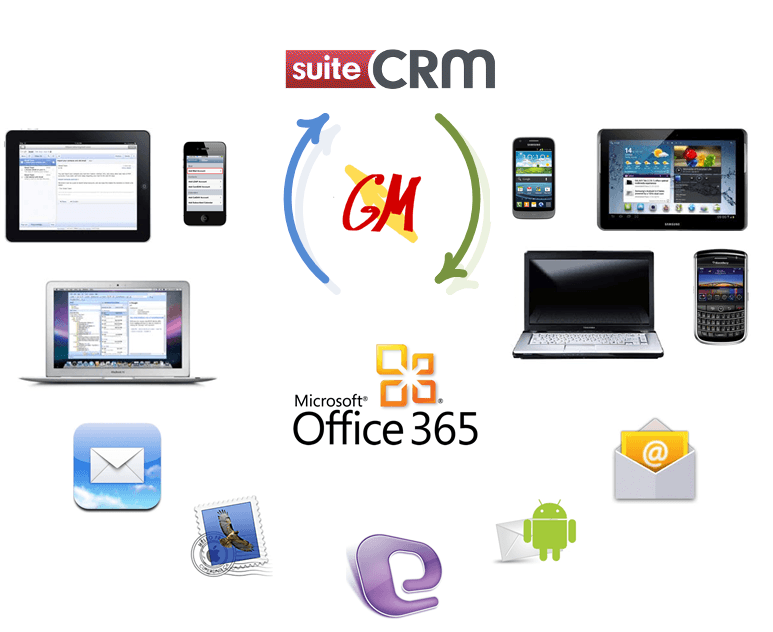 It supports both Office 365 accounts and Exchange Server 2013 on-premises installs. On-demand. User decides when to synchronize. 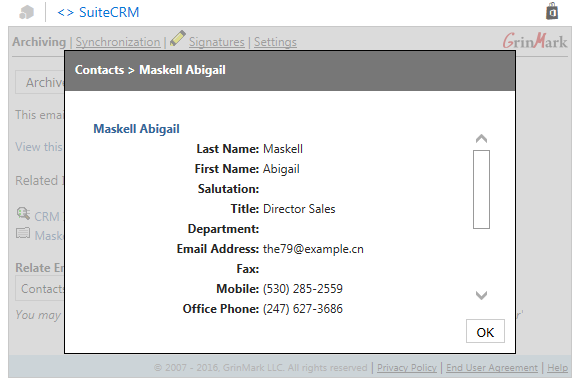 The first and the only automatic email signature extraction for SuiteCRM. Leading edge technology for mining contact data. Email messages contain valuable auxiliary information: signatures, addresses, events and more. 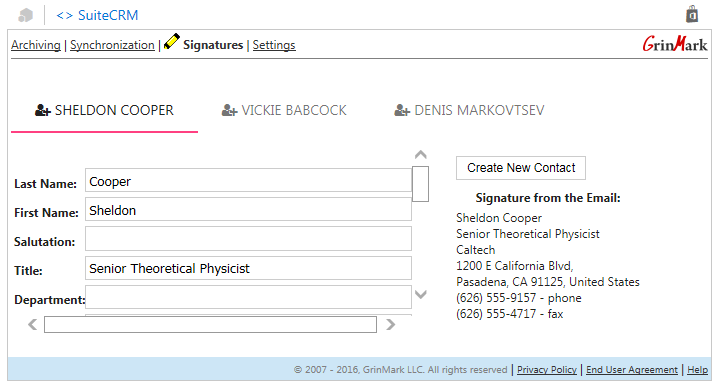 GrinMark provides a solution for automatic extraction of email signatures in a structured way: name, title, organization, address, phone, etc. 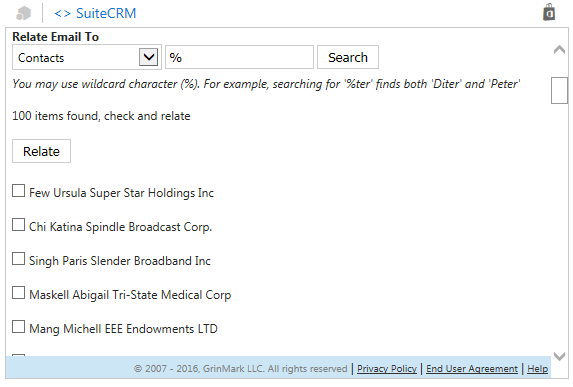 With this structured data users can quickly create new or update existing contacts in SuiteCRM. Email signature extraction is based on GrinMark TextMiner – a sophisticated technology which applies the power of machine learning to routine tasks of email archiving. TextMiner uses cutting edge algorithms to extract valuable structured data and relationships from email body. 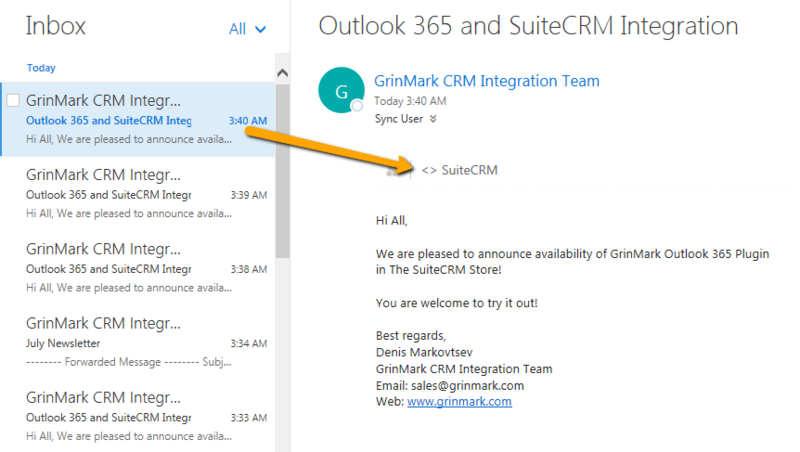 Getting started guide describing installation, settings and usage of GrinMark Outlook 365 Plugin for SuiteCRM is available here. Works with all versions of SuiteCRM.